Blackville School has many activities planned next week to celebrate Halloween. The grade 12 students are organizing Halloween Parties on Wednesday, October 26 for the children from kindergarten to grade five to fundraise for the class of 2017. The school is inviting the kindergarten to grade two students to come at 4:30 pm to 5:30 pm and the grade three to grade five students at 5:45 pm to 6:45 pm to celebrate this scary holiday with this year's graduates. The fee for the party is $4 per student, but many sweet treats and drinks will also be available. 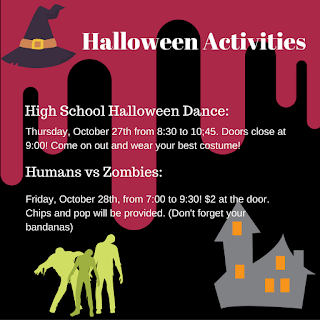 The Blackville School is also organizing a Middle School Halloween Dance that same night at 7:00 pm till 8:30 pm, and the fee will be $5 per student. They are expected to come dressed in the scariest or cutest costume they own. 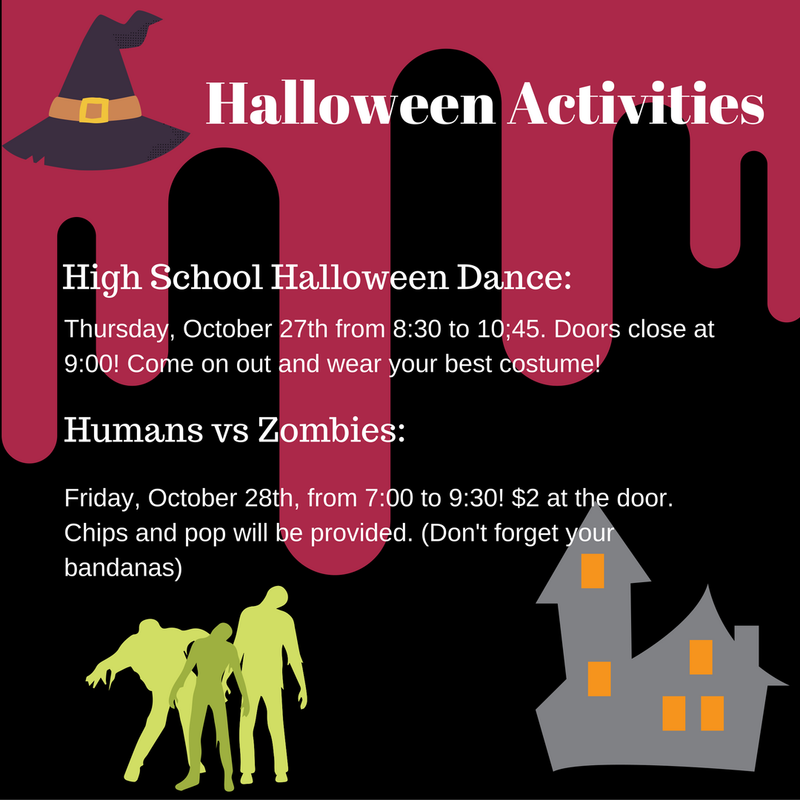 The High School Halloween Dance is scheduled to be on Thursday, October 27 at 8:30 pm till 10:45 pm, but the doors close at 9:00 pm. Don't miss it. There will also be Humans Vs. Zombies on Friday, October 28 at 7:00 pm till 9:00 pm. Students will have to pay $2 at the door to participate. Next week will be filled with scary but fun activities. Don't miss out on them!